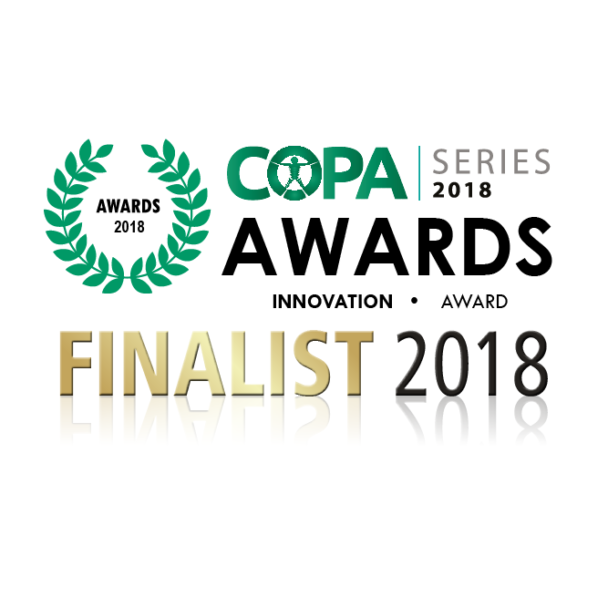 We are extremely pleased and honoured to announce that Complete Concussion Management has been recognized as one of four finalists for the COPA Series Awards 2018 – Innovation of the Year Award. The other finalists include Ain1, Orca Medical Ltd., and Spine Back Rack Ltd. The COPA Series is Europe’s leading event for chiropractors and practice owners looking for “new ideas and opportunities to grow their practice and expand their professional knowledge.” Built on industry knowledge and expert insights, the show prides itself on comprehensive education, advice and opportunities for chiropractic professionals, and provides a platform for professional development and continuing education. The show is happening this week from May 9 – 10 in London, UK, and the winner will be announced during the show. The COPA Series Innovation of the Year Award recognizes the pioneers and organizations that have made a significant – and innovative – impact on the rehabilitation industry over the past year. The COPA Expo Series Awards showcase innovative products and services that have changed the way a range of physical and neurological conditions are treated. In fact, the Innovation of the Year Award highlights “the most innovative concept that has broken new ground in the sector, standing out from the competition through such factors as design, operation, and effectiveness.” For more information about the award and nominees, visit: www.copashow.co.uk/awards. Dr. Cameron Marshall, DC, is one of the presenters at the COPA Series this year. His seminar will explore the evidence around the latest concussion treatments and rehabilitation approaches for healthcare professionals. The current landscape of concussion is rapidly evolving, and the session will discuss how rehab professionals and manual therapists have an increasing role in this exciting field. Click here for more information about concussion treatment and rehabilitation options for patients and athletes. If you are a rehabilitation professional looking for more information about the Complete Concussion Management concussion care network, click here.